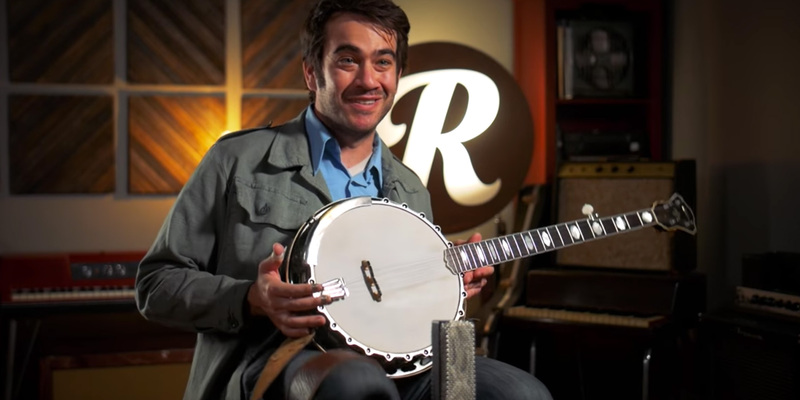 In our first video with Punch Brothers' banjo whisperer, Noam Pikelny, we were treated to a professorial explanation of the differences between several key schools of banjo playing. In the video that followed, Noam spent some time describing his favorite instruments and the special appeal of vintage banjos — Gibsons especially. In this latest installment, Noam talks about the "weird feedback loop" thats exists between his banjo craft and his study of the guitar over the years. As Noam recounts, he played the banjo as a youngster, but like so many of us, was seduced by the guitar by the time he hit sixteen. In Noam's case, it was the flatpicking style of Tony Rice and David Grier, and later Clarence White that fueled his guitar taste. Clarence White led him to a fascination with Telecaster music and chicken pickin', which he exhibits above. If I wanted to have any friends, I had to get out the banjo." By the time he got to college, floating in a competitive pool of other guitarists, Noam returned to his banjo roots, counterintuitively claiming, "If I wanted to have any friends, I had to get out the banjo." The years of Telecaster study fueled new growth in his banjo style, from string bends to seeking out a top–tension instrument for added sustain. Hear Noam's explanation of his personal banjo–guitar relationship in the video above, and be sure to check out the first two videos in this series via the links below. Think your '70s Les Paul is heavy? You've never held a Gibson top tension banjo. Get schooled with the Punch Brothers banjoist.